Hi guys, It has been a while since I did a blog post! I hope you are all well! So, as you can probably guess, I am returning to work! I haven’t worked since I was heavily pregnant with Poppy. The main field I have worked in is Care work which is what I am returning too. I have worked in a care home and also in the community. I am going to be doing community again because I can choose my own hours to fit around the kids (result!). I have found a wonderful company who have listened to my needs and have been very, very flexible. I am really, really excited to be going back….. So why do I feel guilty?! Why do I feel so horrible for going out to earn money for them to have nice things? We have always struggled with money and I now feel i need to step up and bring in some bacon (mmmmmmm bacon). I shouldn’t feel guilty because I will be working between school hours on the day Douglas is at pre-school and Poppy is now in Year 1. So it’s only Amber I will be leaving at home, which I think is why I feel guilty. Amber has been with me practically 24-7 since she was born and she gets upset if I take the rubbish downstairs! How on earth am I going to leave her?! Obviously she isn’t going to be left home alone, she will be with Daddy and even though she does like him (hehe) she is definitely a mummy’s girl! I keep telling myself that I am doing this for the children. I need to tell myself this or I won’t go! Not because I don’t want to work, I don’t want to leave my babies. I need to do this because now they are getting older, they need more things. They all have birthday’s and Christmas coming up and I want to be able to spoil them rotten! We will be able to go bowling and eat breakfast with santa and I cannot wait! So, if you are a SAHM like me thinking of returning to work…Go for it! On Tuesday 4th April 2018 I attended the Emma’s Beautique event at the Hilton at the Ageas Bowl to help raise money for a charity called “Global’s Make Some Noise”. They give a voice to small projects supporting Disadvantaged Children and Young Adults. The event was sponsered by Capital FM. We we served Prosecco or soft drinks on arrival and also a complimentary ice cream from Judes! We then went and had a look around all the beauty brands that were there and had a look at what goodies they had to share! First of all we started at The Body Shop. I was shown a product called Wild Argan Oil Exfoliating Gel Body Scrub which was amazing I will buying some! We were then given a free sample of their Himalayan Charcoal Purifying Glow Mask which I cannot wait to try! We also signed the petition against testing products on animals! Next we headed to Laura Geller. I have been using her products for years and I love them so much! We have been invited to have a free makeover at their counter in Debenhams in Southampton and was also given a free sample of the Spackle Primer. Next we moved on to Clinique. I have not personally used their products but I know people who have so I thought I would check them out. We have been invited to come into their store to try out some of their products and was given some more samples and also a scratch card which I won a free samples of their Moisture Surge 72 hour auto-replenishing hydrator, all about the eyes and Moisture Surge overnight mask. We then went had had our Colour Match Tests done at No7. I was suprised to found out that I have Olive tones in my skin.. so i am not the pasty looking Mombie I always thought I was! My colour matched to Warm Ivory. So if you are unsure or your new to using make up, I highly recommend paying them a visit! Then I was approached by a lady who asked if she could curl my hair as it’s so long and thick! She was from a company called Eye Candy Hair & Makeup Artistry. She curled my hair with GHDs and she was telling me all about the company. She comes to your house and shows you how to style your hair, anything from curling to a messy bun! She also teaches make up techniques. So if you want to get the girls round with a bottle of wine..find her out on facebook! She was a very funny and kind lady. I am going to give it a go! Our next stop was Invitations Ltd and we had our photo taken in their Magic Mirror! It was great fun. We got to dress up and got a free print each. So by now I had started noticing that 90% of the people their (10% being men) has glittery lips! I was so intrigued as I love anything glittery. We lined up ( it was very busy) and had our lips glittered by the lovely Pippa Perrier! First she put on the special glue which is non toxic with a cotton bud then applied the glitter! I loved it so much I brought two colours, Pink and Purple! She puts glitter on almost everything so please go and check out her Instagram Glitter Makes You Fitter! Our last stop was CLARINS. Again I haven’t personally used these product but I know a few who have. I had a complimentary back massage which was sooo needed as i was full of knots. My mum had a lovely hand massage with their Hand and nail cream which smelt beautiful and left her hands feeling so soft. We were also given some more freebies. I had a truly wonderful time.. We were pampered and I felt a new woman leaving! It’s brought back my love for Makeup and Beauty! I can’t wait for the next one. Parenting can be hard enough at times, especially if you aren’t feeling your best but recently I have had the challenge of trying to look after the kids whilst having Australian Flu. This is pretty much like normal flu but lasts a lot longer! For me, 2 weeks to be exact! We are often told that us mum’s do not get “sick days”. There are a few pictures floating around social media of what happens when a family member is sick and I am sad to say in some instances, it is true! Mum’s do not get sick days!! We are programmed to carry on no matter what. We put ourselves last which in most cases, is not good! I for instance, was still trying to carry on like nothing was happening. My body was telling me to rest and I was pretty much ignoring it because I hate being ill and hate being out of routine!! After a week of fighting it, I was near enough of the verge of collapsing. I had it in my head that I had a pile of washing to do, washing up needs to be done, the kids need to go to school etc. In the end, I was ordered to bed by the hubby! He could see that I could barely stand let alone do anything else. Even from my bed I was still doing things because lets face it, if the kids know that you are in bed, there is no way that they are going to let you sleep! Well, that’s what happens in my house anyway! So yeah, I had all three kids in with me. Poppy, who likes to look after people, was “nursing ” me back to health. Getting me drinks of water, brushing my hair and bringing me tissues. Douglas, trying to force feed me what ever snack he has managed to find and playing “boo!”. Last but not least, Amber. Although she is the youngest and the littlest, she is the pickle! Into absolutely everything! She’s pulling stuff out of draws, off the bedside tables! Ahhhh! So really, us mum’s do not get sick days. Even if we are given the chance to go and lay in bed or lay on the sofa, it doesn’t work! Well, it doesn’t in my house anyway! I would love to hear some of your experiences of looking after kids whilst ill and the ways that you work around it. Is Technology Being Forced Upon Our Children? When I was a child, our televisions had 5 channels, our computers did the very basics and laptops were owned by rich businessmen. We didn’t use technology so much back then so why do we rely on it so much now? Now we have computers pretty much built into our mobile phones. You sit in a waiting room or walk down the street and I can bet you £1million pounds (if I had it!) that someone will be sending a text, tweeting or doing an insta story! I know, I’m just as guilty because that is how we are programmed these days and so are our children. Poppy, 5 years old, can work a tablet better than I can! She got one for her birthday and I made the decision to cap her time as I still want her to be a child. I still want her to play with toys, go out for walks and play in the park. When I visited her classroom a few months ago, they have what is called an interactive board. It’s basically a giant tablet! They don’t have white boards anymore. My prediction is in years to come, you won’t have school books anymore. Each child will have a tablet and everything will be stored on there. Their homework will be on there, school reports, etc. Which is great…..until is starts to crash or it gets broken. Then what?! I have seen 9 years old with the lastest IPhone. Why does a 9 year old need an iPhone?! To me, that is a big no no. There are so many weirdos out there and there are so many ways that they can reach children these days. It is scary!! You don’t know who is on the other end of that phone or tablet. It’s the world we live in these days. You are judged by what phone you have, weather you have a tablet. And it’s sad really but that’s is the way it is. As 2017 is coming to a close, I am thinking about what a crappy year it has been! Every single year I make a new years resolution but like many, I never follow them through. So this year I thought I would make a wish. Hopefully my fairy godmother is reading. 1. My first wish is to move into our first house. We will never own our own home but the thought of living in a house really excites me. The kids having their own space, a nice big kitchen where we can have a table and all sit together and have quality time together. Asking about each others day. 2. Get myself a car. The last few months I feel like that I have lost a limb. Not being able to go out and do things when I want or need to is so frustrating. Public transport is not an easy thing with small kids! 3. Kick this depression and anxiety! Wishes number 1 and 2 could play a big part in this but it’s not going to happen over night. Its swings and roundabouts really. 4. Get my blog and YouTube channel really up and running. I love doing this and I would love to be able to do it as a career! I want something that is mine, for me! I just want to be the best mother, wife, daughter and friend that I can be. Uh oh…. It’s happening again! I reach for the bowl and up comes the sip of water that I had just had to stop my mouth from being dry. It’s painful to be sick and I have wet myself again because of the sheer force. I suffered with Hyperemesis with all three children. The last two I was admitted to hospital and had to be put on a drip to be rehydrated. I lost 2 stone in the first 12 weeks of all my pregnancies. I couldn’t eat or even drink properly. Sucking on ice cubes and ice poles were my only relief, even if just for a second. Whilst in hospital, once I started to feel better and hungry.. Oh boy was I hungry! I remember one morning I was so ravenous, when they brought me round my breakfast, I had never been so excited to eat a bowl of cornflakes! They were the best thing that I had ever tasted! And the little cheese and crackers… I had the care assistants searching the maternity hospital for stray and unwanted packets! Hyperemesis is an awful illness and I wouldn’t wish it on my worst enemy. I always knew I wanted to be a mummy. I wanted at least 10 children! Always wanted a big family and I wanted 7 boys and 3 girls. I look back on that dream now and think do I want that now?! Hell no! I love my kids too bits but having three children is hard work. I take my hat off to the parents who have more! My parenting journey so far has been fun, scary and challenging. 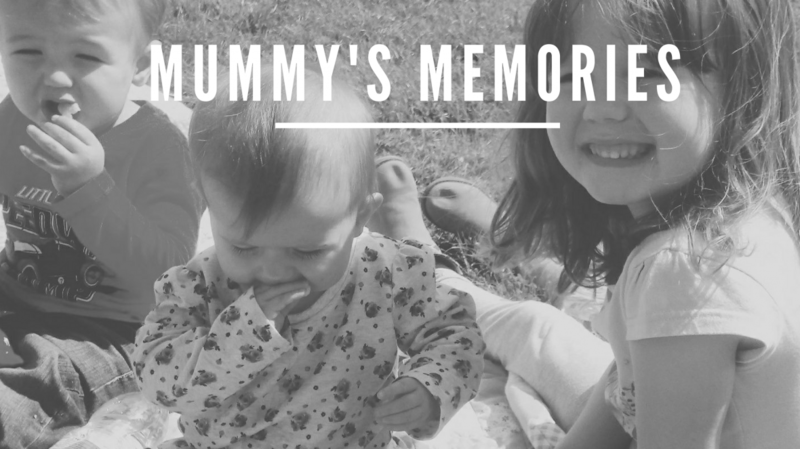 From nights in hospital, starting school, first steps, first dinner, first smile, first giggle…. The list is endless!! Some days, I feel like the worst mother in the world. I feel guilty because I want to be selfish. I want to lay on the sofa all day, eating junk food and watching Shameless but I spend my day watching Mr tumble and Go Jetters whilst being used as a human climbing frame. It’s the life that I chose to live. Sometimes I have to hide in the bathroom and cry because they have pushed me to breaking point. Like I said… It’s the life I chose to live. I wouldn’t change it for the world. I could have a fantastic career with a monthly salary, not having to worry about where the next penny is coming from. But that wouldn’t make me happy. My children have made me the woman I am today. Yes, some days that is an emotional wreck but when my 5 year old daughter throws her arms around me and tells me she loves me and that I am the best mummy in the world, when my 23 month old son gives me a kiss or my 1 year old daughter says “mama” it sends warmth through my heart. My experience of parenthood is that it is a real roller-coaster ride . You ride the good with the bad. You make mistakes. I say there is no such thing as the perfect parent.